Board membership is not a lifetime commitment. It is a volunteer job and that changes with time, age of member, mission, and needs of the organization. Sometimes we see board members have lost their engagement in the organization. We know it’s time for them to move on. But it can be challenging to usher a board member honorably into retirement. We often want to keep the support of a board member, yet not in the area of board governance. Put board terms in place so that it is natural for board members to see their commitment as having a defined timeframe. Conduct a board self-assessment every few years to encourage engagement, commitment, and discussion of board terms. Have the hard conversations. The CEO and Board Chair can periodically review your job descriptions with board members and see where the gaps are in members fulfilling the role fully. Find a way that the outgoing member can stay engaged if he or she wishes. For instance, ask that the outgoing member help with a project or attend an event as an ambassador. Create a board member Emeritus category in your organization. Invite the non-voting board emeriti to an annual meeting event, perhaps a social time after the board meeting ends. At A.C. Fitzgerald & Associates, we help nonprofits grow – and this includes board development. Let us know if you need help training board members and drafting or revising board terms. We have a team of consultants who can help you develop a strategic plan and then guide you through the process. Susan E. Mangels, Ph.D. serves as Senior Vice President of Consulting Services at AC Fitzgerald. 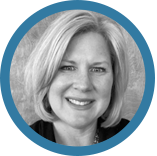 She uses her expertise in fundraising, management, and leadership development to oversee our consulting efforts and deliver exceptional service to clients.